I got this as a trade item. 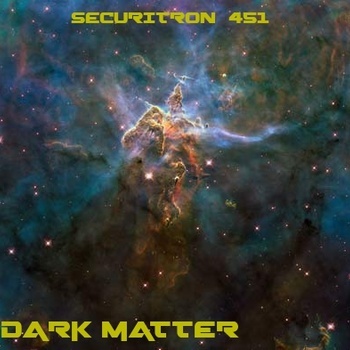 Never heard of Securitron 451 before, so I googled it. I discover it`s a free download (and how cool is that). It reads on their website that you can tag their music under: ambient, dark ambient, electronic, experimental, industrial, space noise and noise sci-fi (what a list!). There`s seven tracks on this short album (less than 30 minutes). I wish it was longer because I really enjoy this. The music is a mixture spacy synth, minimal atmospherics, percussive / noisy elements with some dark psychedelic undertones thrown in for good measure. It would make an amazing soundtrack to the following movies: Forbidden Planet, 2001 A Space Odyssey and Solaris (the original Russian version). This recording conjures deep feelings of claustrophobia. Feels like you`re alone inside a space station, and you`re slowly running out of oxygen. Help!